A DOCTOR has issued a warning over the sweet Christmas treats that can create New Year health havoc. And surprisingly, that cosy cup of hot chocolate is one of the worst culprits. Dr. Juan José Alió Sanz, a top Madrid-based orthodontist, warns that the high amounts of sugar hiding in popular festive goodies can lead to tooth decay, diabetes and more. 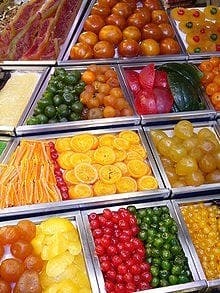 According to Alio’s research, candied fruits are the worst offenders, containing 81g of sugar per 100g. Hot chocolate was second worst, with 73.8g, higher than nougat with 51.3g. Marzipan contains 49g of sugar, while hard and soft turron both contain 45.1g. Mantecados, polvorones and Roscóns also put the boot in, with 25g and 24g respectively. Alio also highlighted the other dangers of the sweets, such as their sticky texture which helps sugar to stick to teeth, therefore increasing the risk of cavities.